Building beautiful responsive image galleries in your twitter bootstrap application is now super-easy with the awesome blueimp image gallery plug-in. 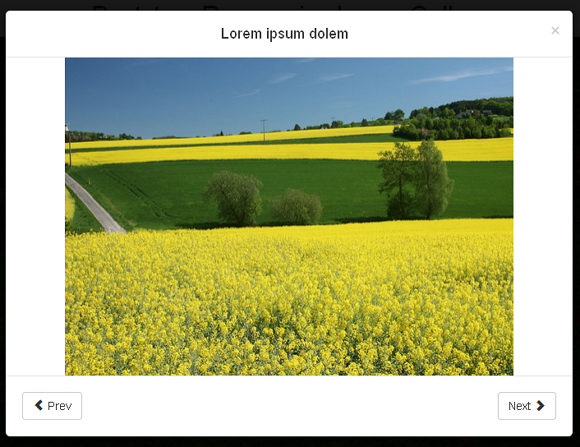 Using this plug-in you can easily build touch friendly and responsive image or video gallery viewable for both mobile and desktops. Galleries are a great way to showcase your products or services and here we'll see in this bootstrap tutorial, how to build responsive image gallery with slideshow and light box effect in bootstrap. 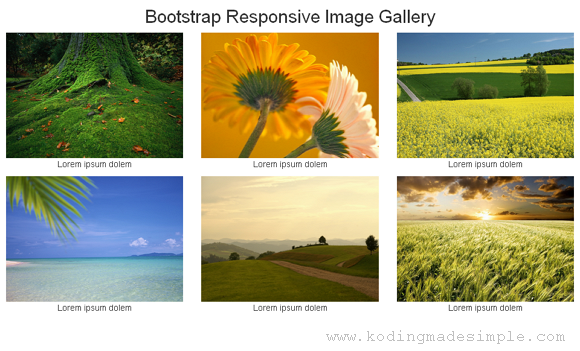 How to Build Responsive Image Gallery with Lightbox in Twitter Bootstrap? Follow the below step by step instructions to build the sliding lightbox image gallery. Step-1: To create the light box image gallery in bootstrap, we need two libraries. First download the Blueimp Gallery and Bootstrap Image Gallery and extract its contents. Both of the folders will contain the “css”, “image” and “js” sub folders. Move those folders to your working directory. Step-2: Next create html file and add this meta tag to its header section to make the webpage responsive. Step-3: Next link the bootstrap, blueimp gallery and bootstrap image gallery css files to the web page. Step-5: Next add this html markup inside the <body></body> section to create the popup gallery light box. Step-6: Now add a list of image files you want to appear in the gallery in a grid format and make the images responsive to fit to the mobile view. 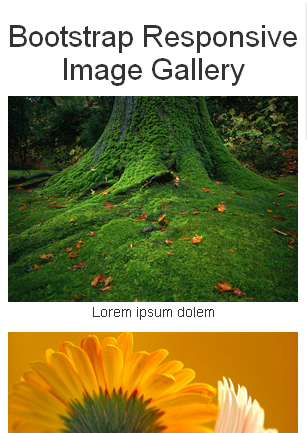 Adding the bootstrap css image class "img-responsive" to all the <img> tags will make the images responsive and resize them to fit to the mobile, tablet and desktop screen. Now open the webpage in browser and you can see a beautiful image gallery with neatly arranged thumbnails in grid layout. Clicking one of the images will pop up a light box with sliding controls like this. As I have said this is a responsive image gallery, this is how the image gallery will look like in mobile view. 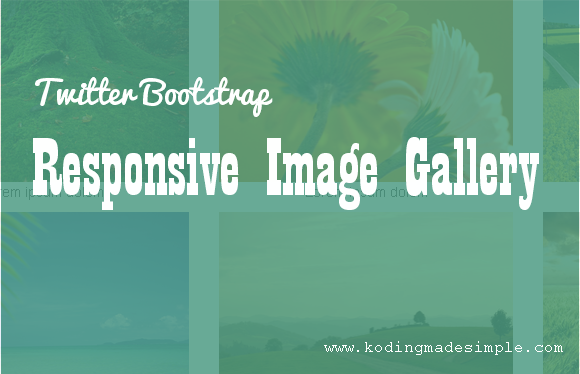 And like that you can easily create a complete responsive image gallery in bootstrap without hassle. Hi, question: to have all of your images as the same size did you have to save the original images as that size? thanks! It's better to use images with equal size.